Notes from Lane Library: Use all the Technology! Interested in creating a digital media project for a class or group? Where are you going to go for the technology needed? Stop by Lane Library today. We have a couple of Sony Camcorders along with tripods available for your use. Uncertain what to do next? We have iPads available for checkout as well, complete with the iMovie app. Simply transfer your videos from the camcorder to the iPad via a computer, and you too can create your own video complete with voice-overs, musical scores, credits, and more. Why create a video for an assignment? Your goal is to synthesize the information set before you by writing and thinking critically. It may be daunting, but in a digitally, tech savvy world, it may be time for you to jump right in. Before starting a project like this, be certain that you do plenty of planning and pre-production work to ensure that your video goes smoothly. Write an outline, create a storyboard, and revise. Continue revising and editing, as you will undoubtedly run into unexpected bumps in the road. Don't forget the credits at the end, and be certain to cite any images or videos used that you yourself did not take. Most importantly, enjoy the process and get in touch with your creative side. Check out camcorders and iPads Monday through Friday from a librarian. For more information, please check our technology guide at http://www.ripon.edu/library/libguides/technology/, or ask one of the friendly librarians for assistance. As far as technology, we also have headphones, flash drives, and external hard drives, all available for check out. New this fall we also have updated technology in our conference room to include a television that can be connected to your computer in order to project your project onto the big screen. This room is available for your use, and can be reserved as well. 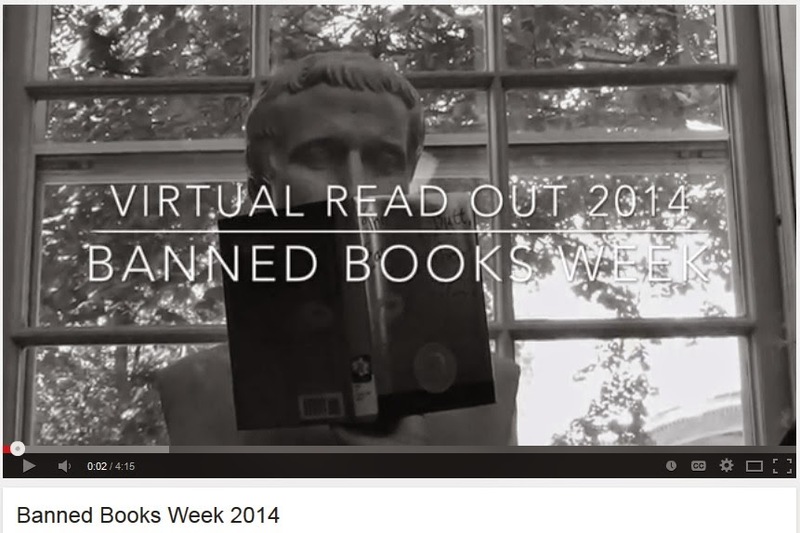 Be certain to view the Banned Books Week video from this year's Virtual Read Out at Lane Library, created by Ripon College student and library assistant Emelia Erickson using digital media at the library.